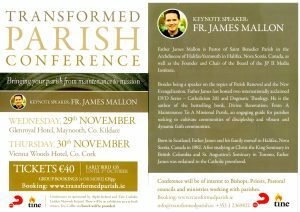 TRANSFORMED PARISH CONFERENCE: BRINGING YOUR PARISH FROM MAINTENANCE TO MISSION – on Wednesday 29 November 2017 in the Glenroyal Hotel, Maynooth, Co. Kildare and again on Thursday 30 November 2017 in the Vienna Woods Hotel, Cork. Tickets: €40 or €35 (Early Bird until 1 October) with group bookings of four or more at €35 per person. 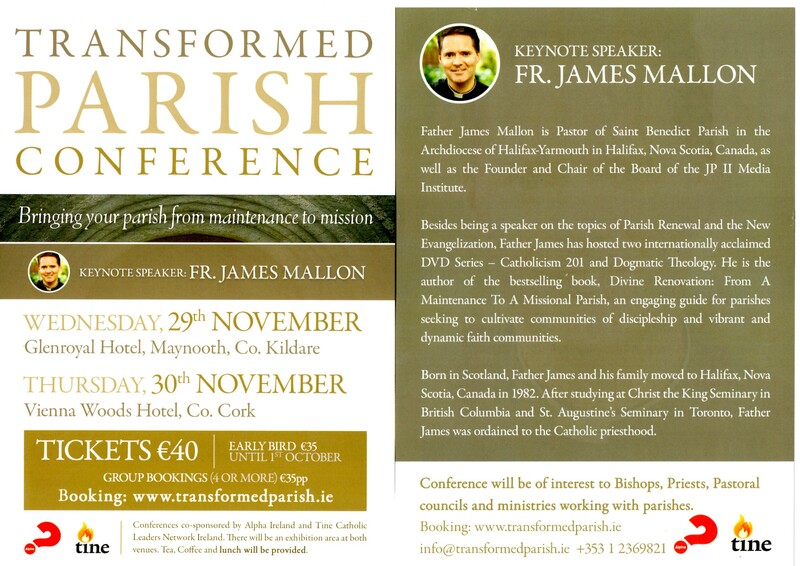 Book at www.transformed parish.ie. The conferences are co-sponsored by Alpha Ireland and the Tine Catholic Leaders Network Ireland.